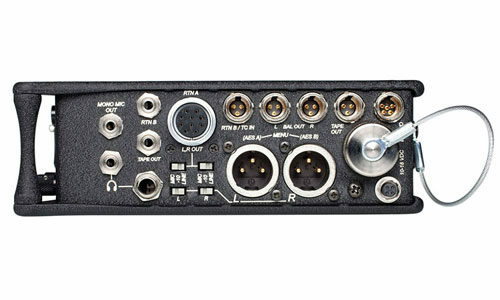 The Sound Devices 442 features 4 line / microphone switchable inputs in a lightweight, rugged chassis. The monitoring output is capable of individual channel, mono, stereo, M-S to stereo monitoring. Additional features include 48V and 12V phantom power, limiting, low-cut filter and more. 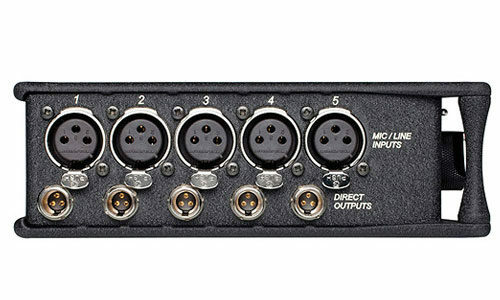 The Sound Devices 552 Production Mixer combines professional-quality analog and digital technologies in a robust metal housing to provide a compact and lightweight mixing and recording solution for a variety of applications. 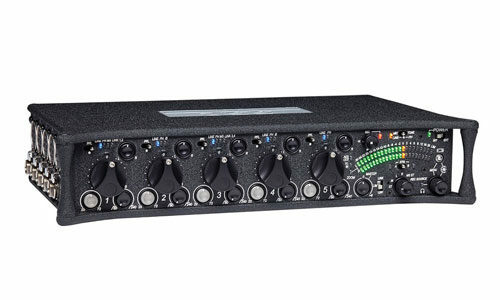 The unit features 5 transformer-balanced XLR mic inputs, each with its own limiter and sweepable high-pass filter.